Harar is a city in eastern Ethiopia famous for two things: its history as a major holy city in Islam and its naturally processed coffee. As early as the 16th century, Harar was famous for its coffee, and by the 1800s it had become a major trade center for coffee and other goods. Like in other areas of Ethiopia, many residents of the Harar region practice the Ethiopian coffee ceremony and are entrenched in Ethiopian coffee culture. Coffee from the Harar area of Ethiopia is commonly referred to as Harar coffee, or simply as Harar. The phrase "Ethiopian Harar" also refers to the coffee varietal used to produce coffee in the Harar region. The coffee beans from this type of coffee plant are yellow-green or golden-green in color and medium in size. 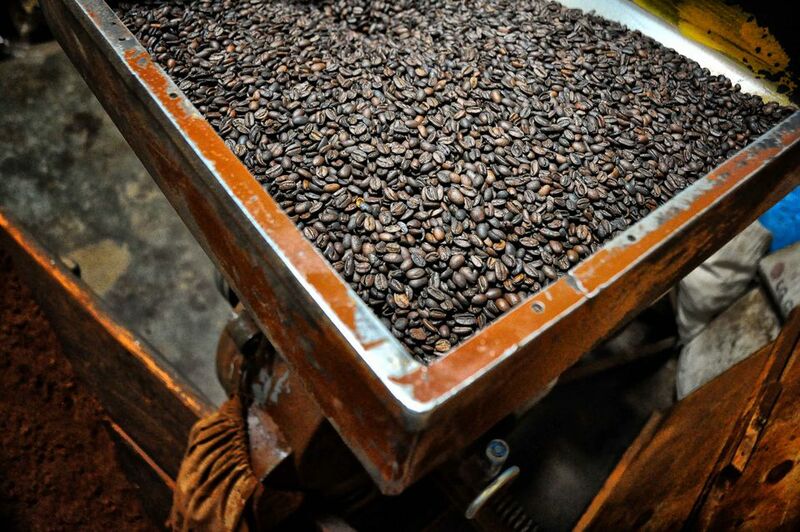 It is one of the oldest coffee varietals still used to make coffee today. Ethiopian Harar coffee beans are typically divided into three categories: Longberry, Shortberry, and Mocha. True to their name, Longberry coffee beans are the largest of the three types. In this same vein, Shortberry coffee beans are smaller than Longberry beans. Mocha coffee beans (or Mocca beans) are famous for their prized 'peaberry' beans, which contain one bean per coffee cherry (rather than the usual two beans per cherry), and are known for their complex flavors of chocolate, spices, and citrus. Harar coffee beans are typically dry processed, which means that they dried in the sun, usually while laid out in these layers on tables or patios. They are skillfully sorted and processed almost entirely by hand. The Harar coffee varietal, the local coffee processing style and the terroir of Harar produce coffee with a distinctive flavor and aroma. This flavor is often described as fruity and winey with a mocha note, medium acidity, and a full body. When used to make espresso, Ethiopian Harar coffees often produce a foamy crema. What Makes Greek Coffee Unique? What Kind of Cream Should I Put in My Coffee?